A small update, i used the current week to build a few tanks that arrived at the 'bunker. I bought the Alex Drawer Unit from Ikea a few weeks ago, perfect storage for miniatures. I got a drawer on its own just for vehicles. 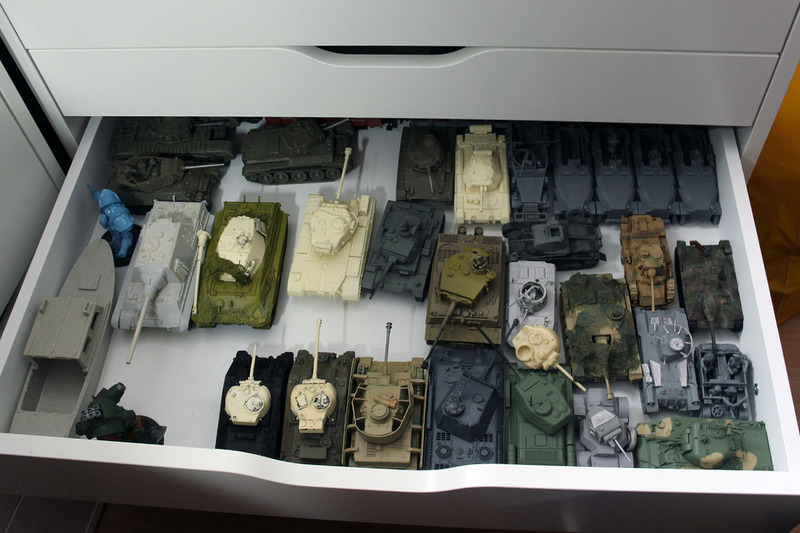 Quite a collection i gathered in the meantime for my american, british and german armies. 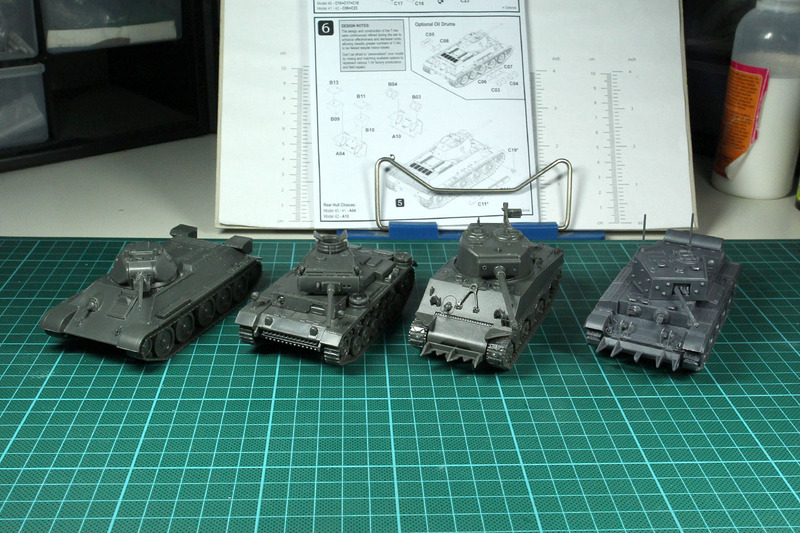 I build the 3 new tanks from the first wave of Rubicon Models, a T34-76, a PzKpfw III and M4A3 Sherman 76mm, and the new Cromwell tank from Bolt Action / Italeri. I'll post the review together with the Tank Wars book in the close future. As we are talking about books, i got myself some fluff and inspiring ressources. 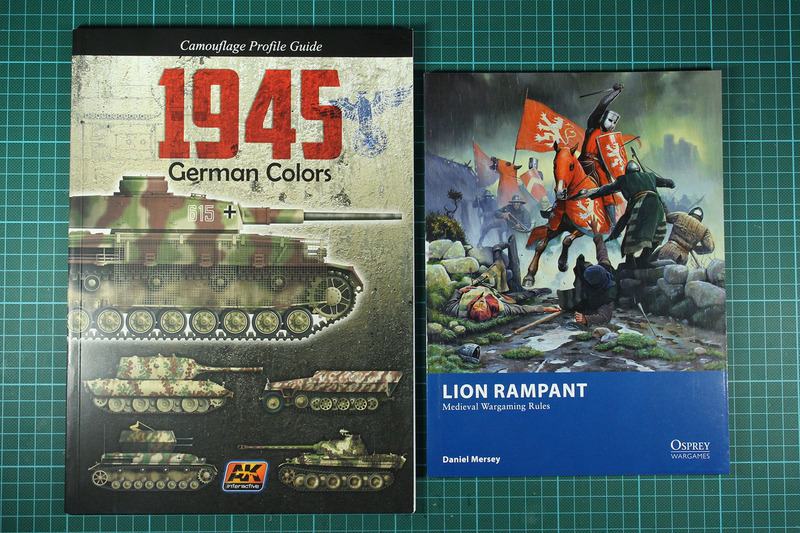 First of all the 1945 German Colors book from AK Interactive and the latest rulebook from Osprey, Lion Rampant. The wargames series significantly improved, it has better layout and is more enjoyable to read, compared for example A World A Flame. As we do have the small "A Very German Civil War" or "S.I.E.G." project on sweetwater, i got myself some ressources and background information. Got lucky, just 6 bucks per book. 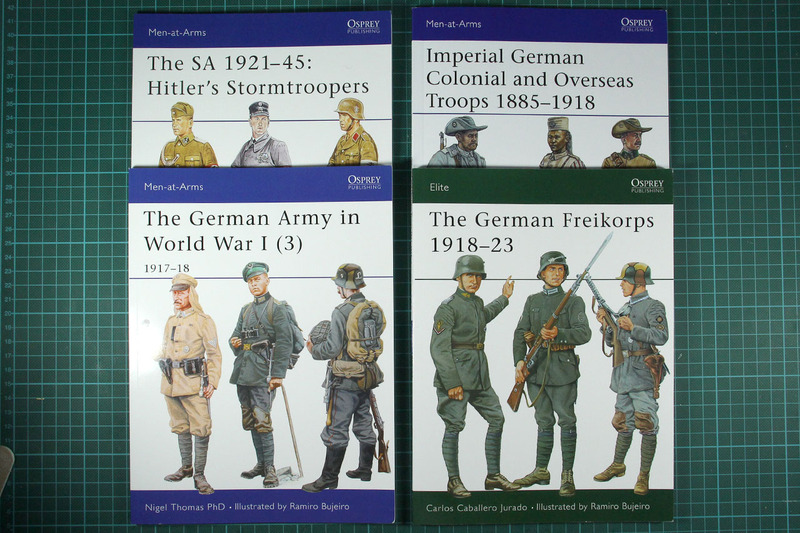 Especially the one on the German Freikorps is pure gold.